Coming from three different parts of the world, three musicians met each other during their studies at the University Mozarteum in Salzburg (Austria) and got inspired by their strong passion for chamber music to form a trio. The members of the Trio are laureates of numerous national and international competitions in Italy, Lithuania, Ukraine, USA, Canada and China. The Trio constantly receives advice from Peter Langgartner, Alois Brandhofer, Peter Lang and Wolfgang Redik. 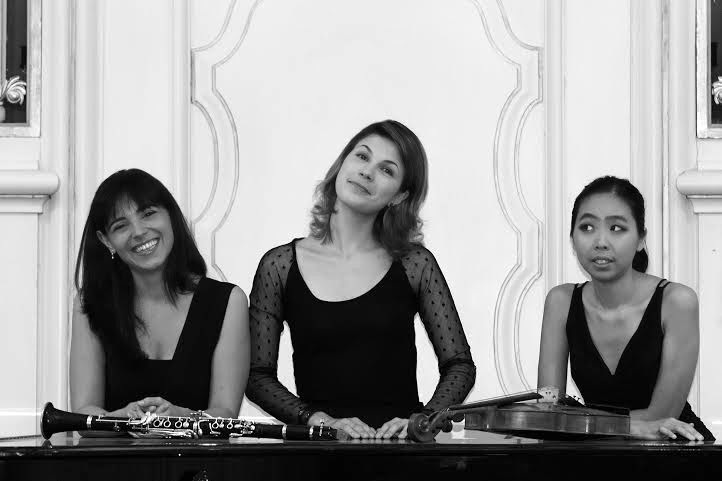 In the year 2014 Violette Trio won the Second Prize in “e­Muse” International Chamber Music Competition (Greece) and the Fourth Prize in Plovdiv International Chamber Music Competition. Violette Trio has intensive concert activities in various international venues and is invited to perform in several festivals, e.g. “Corti, Chiese e Cortili” in Bologna and “Zinettiadi” in Verona, Italy. The Trio also performs for Schloss Mirabell Salzburg's concert and in Wien for "Gesellschaft für Musiktheater", Austria. In April 2015, they will present a serie of concerts in Reims, France. In 2014, Violette Trio is invited to represent the Sándor Végh Institute for Chamber Music at the University Mozarteum Salzburg to participate in an exchange programme with the Schulich School of Music at the McGill University in Montreal, Canada and in June 2015 will take part in an exchange program with the Guildhall School of Music and Drama (London, UK).